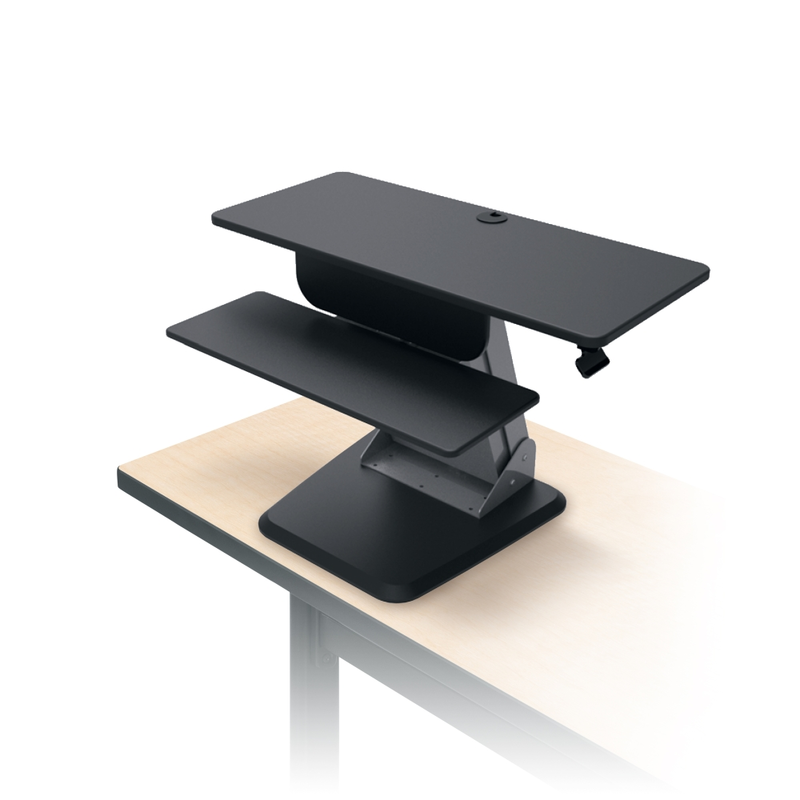 Quickly transforms any fixed-height desk into an active one, promoting collaboration and comfort in your workplace. This workstation sits neatly on any work surface, placing the screen and keyboard in an ergonomically correct position for the user. Unlike other height adjustable workstations, the MooreCo Desktop Sit to Stand Workstation is fully featured. The monitor shelf is wide enough for large and dual monitors. The adjustable keyboard tray is standard, roomy enough for your mouse and sits flush to your desk. The height adjusts from flush sitting to FULL standing height and the base footprint is small and non-intrusive. The ergonomically adjustable height has a silky smooth and quiet mechanism that stops exactly where you want it. The monitor shelf grommet hole for cord management while adjusting. Right from the box, you’ll find a ready to use, fully assembled unit. Best of all, no wiggle, even with the heaviest of devices.